The first impression you make is often the envelope that your correspondence and marketing materials are delivered in. Professionally-printed envelopes are a great way to reinforce your image and differentiate your business or organization. Which style of envelope will best fit your needs? Regular envelopes are definitely the most widely used style of envelope, especially the #10 size regular envelope. The #10 measures 4.125" x 9.5" and is the workhorse of the business world. Regular envelopes are used for general correspondence, invoices, statements, etc. Other popular sizes of the regular envelope include the #9 (3.875" x 8.875") and the #6-3/4 (3.625"x 6.5"). Regular envelopes have a plain face with no window. They may also be ordered with a security tint on the interior. Window envelopes are the second most common envelope used in business. Again, the #10 size is the most popular, followed by #9 and #6-3/4. The address on the envelope’s contents shows through the window in the envelope, which saves the time and expense of addressing the outside. Window envelopes are commonly used for checks, invoices, statements, etc. Like the regular envelope, window envelopes may also be ordered with a security tint on the interior. Remittance envelopes are another popular stype of business envelope. As the name implies, remittance envelopes are used to remit a payment and are generally sent along with an invoice, order form, donation request, etc. Common sizes of remittance envelopes are #9 and #6-3/4, both of which fit within a #10 envelope. Remittance envelopes are similar to regular envelopes except that remittance envelopes have a larger flap. This larger flap allows space for instructions, check boxes or additional printed information. The back of the remittance envelope is also commonly printed upon. 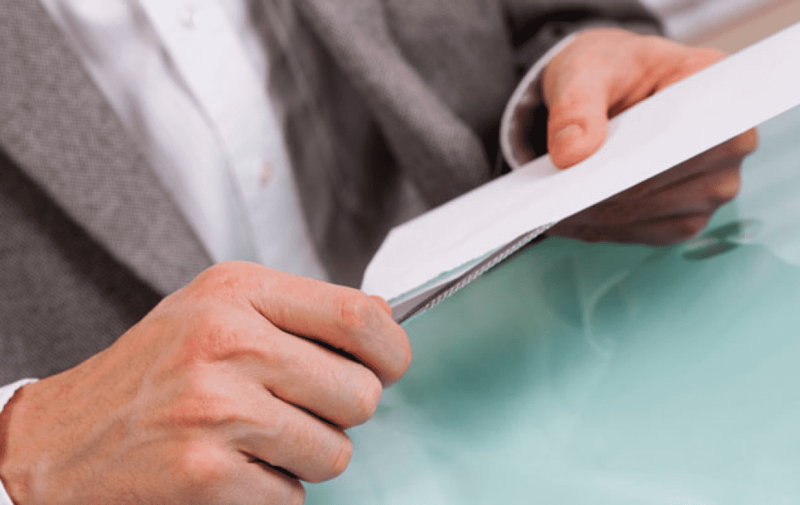 Catalog envelopes are the primary choice when a larger envelope size is needed. Many sizes of catalog envelopes are available but the most popular sizes are 6″ x 9″, 9″ x 12″ and 10″ x 13″. Catalog envelopes open on the short end. For example, on a 9″ x 12″ catalog envelope the open flap is along the 9″ end. Catalog envelopes are sometimes called Open End envelopes. Catalog envelopes are commonly used for catalogs, brochures, books, sales literature or anything you might want to send unfolded. Booklet envelopes are another useful variety of large business envelope. Like the catalog envelope, the most common sizes are 6″ x 9″, 9″ x12″ and 10″ x 13″. The booklet envelope is very similar to the catalog envelope except that the booklet envelope opens on the long side. For example, on a 9″ x 12″ booklet envelope the open flap is along the 12″ side. Booklet envelopes are sometimes called Open Side envelopes. Booklet envelopes might be preferred over catalog envelopes when a lot of envelopes must be filled manually. This is because the larger opening makes the envelope easier to stuff, especially if the contents are bulky. Announcement envelopes are commonly used to mail announcements, invitations, and flat or folded cards. Announcement envelopes are generally more square in appearance, which makes them stand out somewhat from the regular mail. Announcement envelopes use a numbering system to dictate the size, such as A2 (4.375" x 5.75"), A6 (4.75" x 6.5"), A7 (5.25" x 7.25"), or A8 (5.5" x 8.125").